The first-person multiplayer tie-in for popular Japanese manga-turned-anime Ghost In The Shell is free to play all weekend on Steam. Looking for more games that won’t stretch your Steam wallet? Here are the best free games on Steam. Ghost In- no, you know what, we’re calling it GITS:SAC-FAO from now on. Even that’s too long. 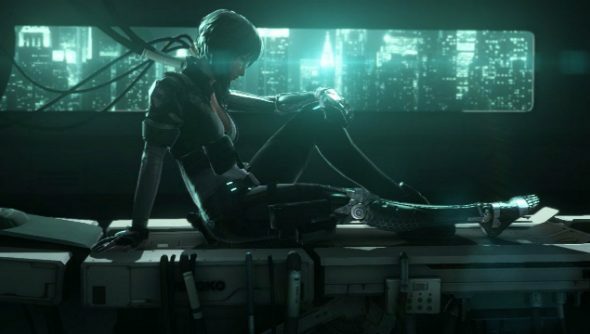 GITS is currently in Early Access after being put there in December last year. Usually it would cost you $5 to join the testing period, but this weekend it’ll cost you nothing AND if you want to keep playing there’s a 50% discount on basic access until May 3. The game will be free-to-play when it eventually does release sometime later this year, and several other discounted packs offer the usual currency incentives for cosmetic unlocks. Taking part in the free weekend will even award you a skin for the M4A1, though you’ll need to unlock operatives on your own dime or time. Speaking of operatives, the latest trailer featuring Borma (or Bouma, or Boma depending on which subtitles or manga translation you were first exposed to) has also been released so you can learn more about the skills Section 9’s explosive specialist can use in battle.